Photo by Janae HardyBarbara Schaffitzel, left holding Lizzie, owns the flower shop with her sister-in-law, Pat. Barbara’s grandchildren, including Ruthie, Abe, Josh and Zeke, have grown up around the store, and Barbara’s sons—Tony, right, and Mike—keep the shop running smoothly. Just off the heavily trafficked thoroughfare of Glenstone Avenue in north Springfield sits a quaint multicolored brick building with a green roof. 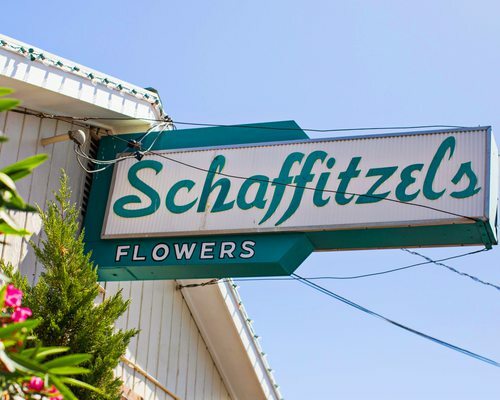 The faded green and yellow ruffled awning above the main entrance lets you know this place has a history, and if the shop’s sign—prominently displaying the words Schaffitzel’s Flowers—looks straight out of the 1960s, that’s because it is. 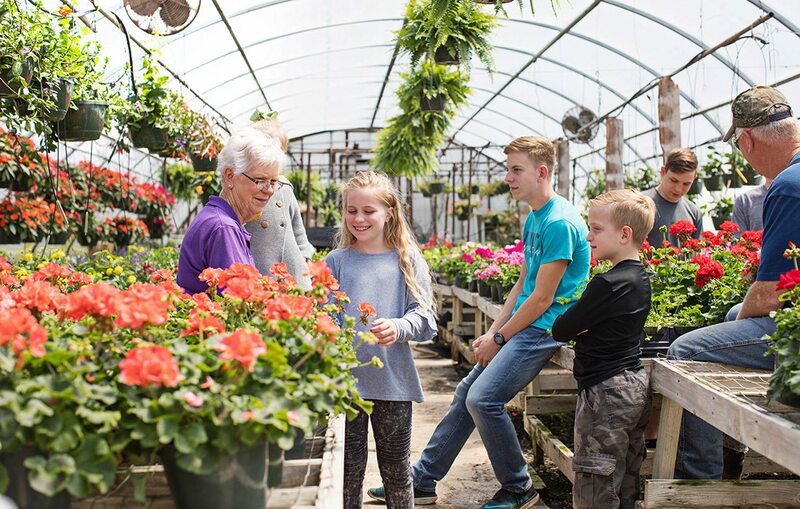 For nearly 70 years, the Schaffitzel family has kept local vegetable and floral gardens blossoming and has crafted bouquets for every occasion. Jerome Schaffitzel Sr. and his wife, Bernadine, started the flower shop in 1949 and passed it on to their sons and daughters-in-law, Jerome “Jay” Jr., Barbara, Joe and Pat. 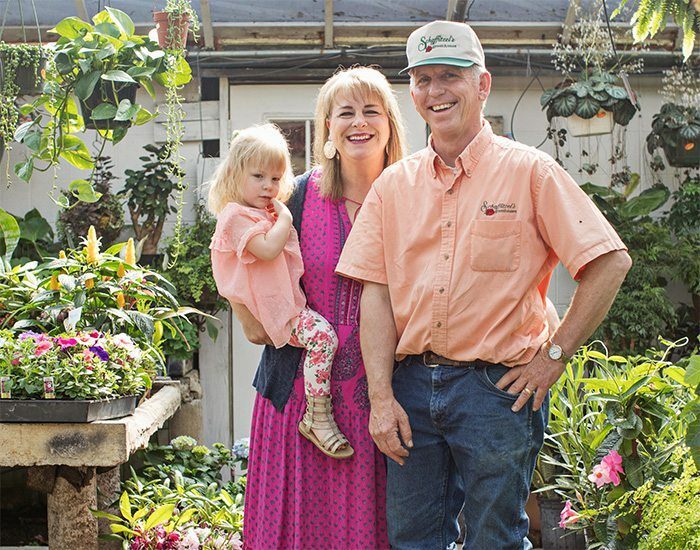 Jay and Joe have since died, and now Jay and Barbara’s sons, Tony and Mike, manage the daily operations and grow many of the store’s plants on their farm in Fair Grove. Other family members, including Mike’s wife, Betsy, pitch in, too. And even after all these years, Schaffitzel’s is still committed to providing top-notch customer service to every person who walks through its doors. 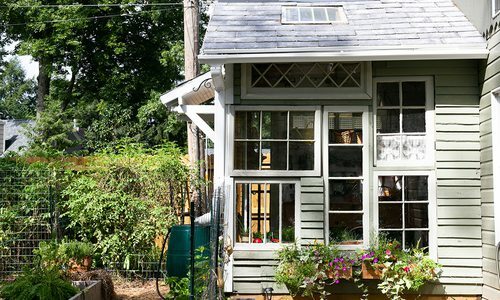 417 Home: What gardening trends do you see these days? Mike Schaffitzel: As far as house plants, we’re selling fiddle leaf figs. We’re selling those Pilea peperomioides. 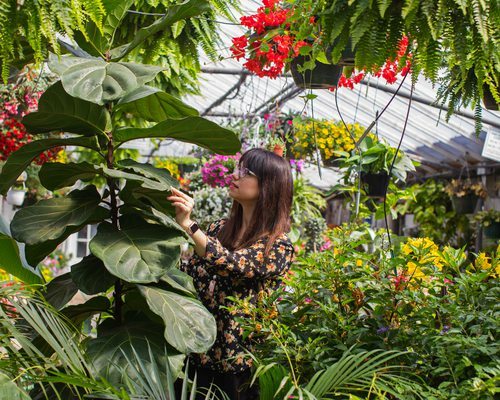 Betsy Schaffitzel: It’s called the Chinese money plant. When we first heard about them last year, people were saying, “Well I’m paying $75 online for ’em.” Mike [got] them, and they’re $35 here. M.S. : Of course, staghorn ferns are still popular, the mother-in-law’s tongue… and philodendrons and monsteras. So many people want citrus plants, mainly lemon, [too]. We’ve probably sold five this week. It’s just crazy how many people want citrus, and they’re hard. 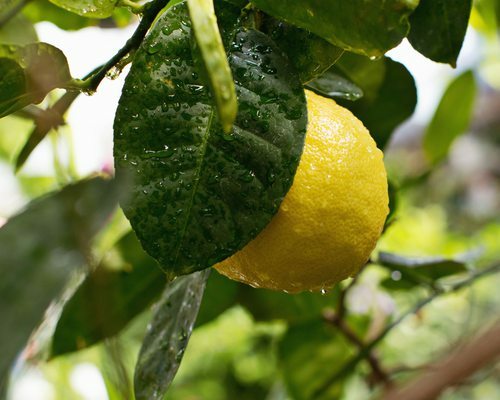 417 Home: So what tips do you have for growing lemon trees in our nontropical climate? M.S. : You really need a place with oodles of light. That’s why they suffer at home because a lot of people don’t have enough light. 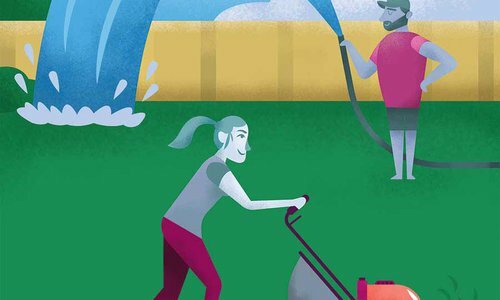 In the summertime, you can set it out, maybe a little afternoon shade, and then don’t water ’em to death because they grow in real sandy soil. Betsy and Mike Schaffitzel of Schaffitzel's Flowers. Several years ago, Mike’s wife, Betsy, saw an opportunity to add a gift shop. 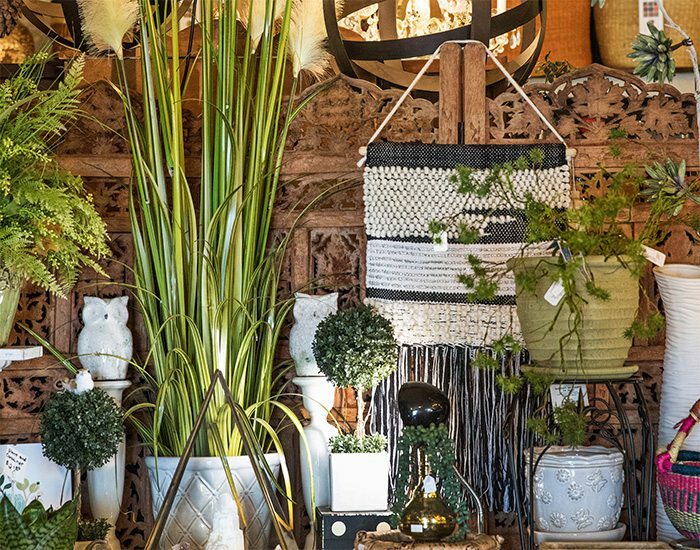 So, in 2004, they renovated the main building and now sell home decor, pottery, fair trade African baskets, kitchen goods, silk stems and more. 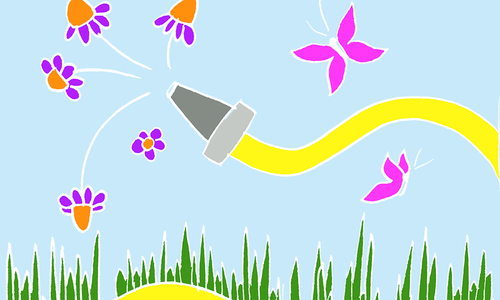 417 Home: Watering plants can be tricky for people with less experience. 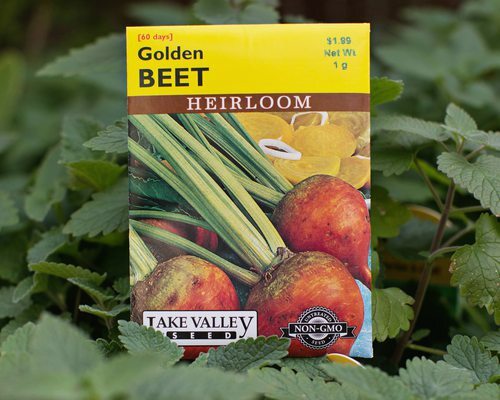 What advice do you have for folks who are still learning their way around a garden? B.S. : When you let a plant get so dry, and then you’re like, “I better water it; it’s been a long time,” and you do water it, and you realize that water went through so fast, and it’s sitting in the very bottom [of the saucer] within five seconds, that means that root ball is so dry it won’t even hold any water. 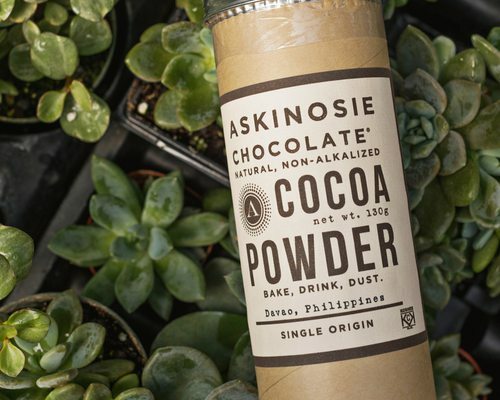 So, the best thing to do is take it to your sink… and literally let that sink run on it for five minutes, and that will re-saturate that whole root ball. 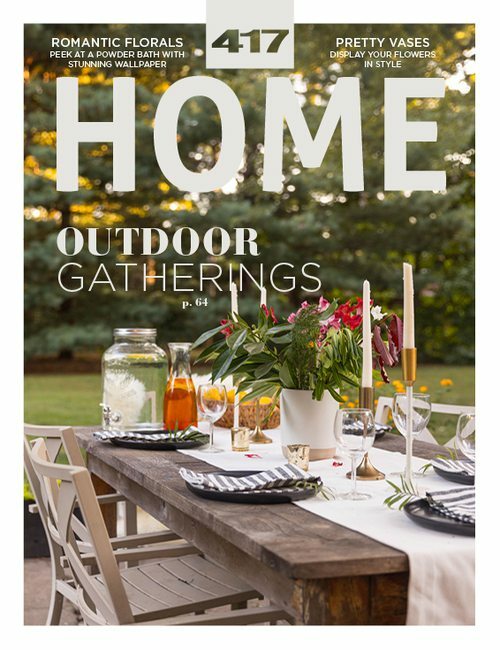 417 Home: Are there any other resources you recommend our readers look into? M.S. : Well, the University of Missouri Extension. We refer people to them all the time. B.S. 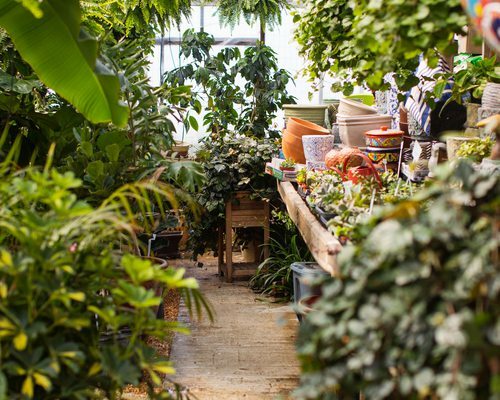 : I have a book on my nightstand right now—it’s called Best Plants for Missouri—and I’ve been flipping through it. One of the things that people do, and they get frustrated, is they’ll buy a tropical plant because they think this is so beautiful. Then it’s dead after the first frost, and they’re frustrated they spent all that money. 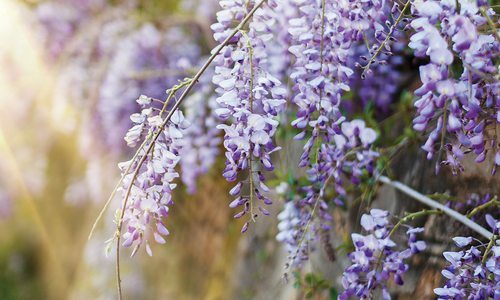 So if you notice, most of the old-timers’ yards, we all have Persithius, they all have lilacs, they all have similar [varieties] of the same bushes because that’s what grows in Missouri. Open Mon.–Fri. 8 a.m.–5:30 p.m., Sat. 8 a.m.–2 p.m.